For thousands of years Nuu-chah-nulth stories have taught about interrelationships between humans, plants, and animals based on the principle hishukish ts’awalk (Everything is one; everything is connected). This Nuu-chah-nulth value also ties in to ?iisaak which is respect for ?aw?i?ume (Mother Earth), and all things. Unfortunately, today’s global seafood supply chain is at odds with Nuu-chah-nulth practices, making it challenging for consumers to have a relationship to the seafood they eat. 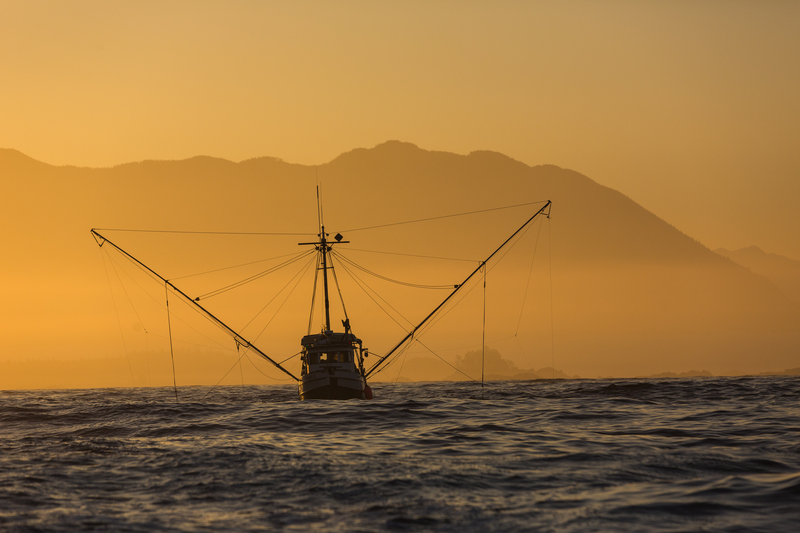 A traceability system called ThisFish is trying to change that by providing buyers the ability to identify who, how and where the fish they purchased to eat was caught. Launched by EcoTrust Canada in 2010 on Vancouver Island’s west coast, ThisFish enables consumers to be part of the story of their seafood through tracing its journey from the ocean to their plate online at ThisFish.info. During the suu?aa (chinook) fishery, which ran from May 27 to May 31, commercial sized halibut caught incidentally to suu?aa were allowed to be retained for sale. Halibut were tagged when fishers offloaded, and buyers such as local restaurants, kept their tags to prove the halibut served to customers was sustainably caught. Using hook and line or troll gear, the fishery brought in 205 halibut (1,564 lbs.) and sold 104, with the other 101 pieces being retained for food fish. From the catches, the halibut fishery brought $15,000 in new revenue, which is significant given that margins are slim for the community fishery. The T’aaq-wiihak fishery’s participation in the ThisFish program links with the core values of the Ha’oom brand which promotes fresh and sustainably locally caught seafood. Yet another reason it’s a good match is that both support greater transparency in the seafood industry. “Traceability and transparency are very important to today’s consumers and go hand in hand with Ha’oom’s Ocean Wise certification by the Vancouver Aquarium as ocean- friendly,” said Candace Picco, associate biologist for NTC’s Central Region. Also, among consumers who care about the seafood they eat, this can be good for a fishery’s bottom line. “Due to the high quality of fish and the fact that today’s consumers want to know where their seafood comes from, some consumers will pay more for the catch.” Adding to greater transparency is technology’s role in enabling consumers to access more information than ever before. “Mobile technology has empowered consumers to more easily obtain and share information leading to greater transparency and accountability in the seafood industry as companies are exposed for seafood fraud due to mislabeling seafood products or for inhumane labour practices,” said Tamm. In favouring seafood traceability through ThisFish the Ha’oom brand is making a name for itself. Being able to sell some of the halibut caught incidentally in the suu?aa fishery is a small step to building a truly integrated fishery that innovates while maintaining Nuu-chah-nulth principles. For more information about Ha’oom Wild Seafood, visit www.haoom.ca or visit the Ha’oom Facebook page at www.facebook.com/haoom for updates.